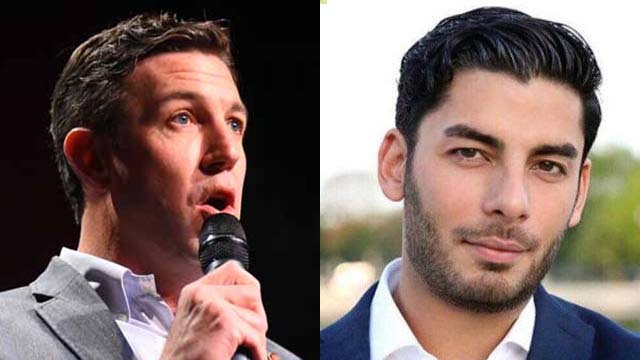 Duncan Lee Hunter, who represented the district for 28 years and has been followed by his son for the past 10 years, held a press conference aboard the USS Midway to denounce Camap-Najjar, holding up photos of the Democratic challenger hugging his Palestinian father in 2015. Campa-Najjar is the son of the Mexican mother and grew up in East County. He is estranged from his father, who was a Palestinian official. Campa-Najjar is a former Obama administration official who was required to undergo FBI background checks. The former congressman’s appearance in the campaign comes as polls show Campa-Najjar gaining in the wake of the indictment of Duncan D. Hunter — and his estranged wife — on charges of misusing campaign funds. 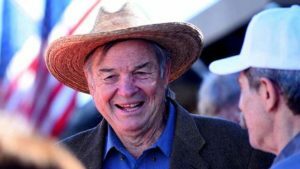 The Hunter campaign is running ads connecting Campa-Najjar with his grandfather, a terrorist who died years before the candidate was born. “As a senior member of the House Armed Services Committee and someone who has endorsed Ammar, I condemn these baseless attacks against him. Ammar has repeatedly distanced himself from the acts of his condemned grandfather who was killed 16 years before his birth,” she said.